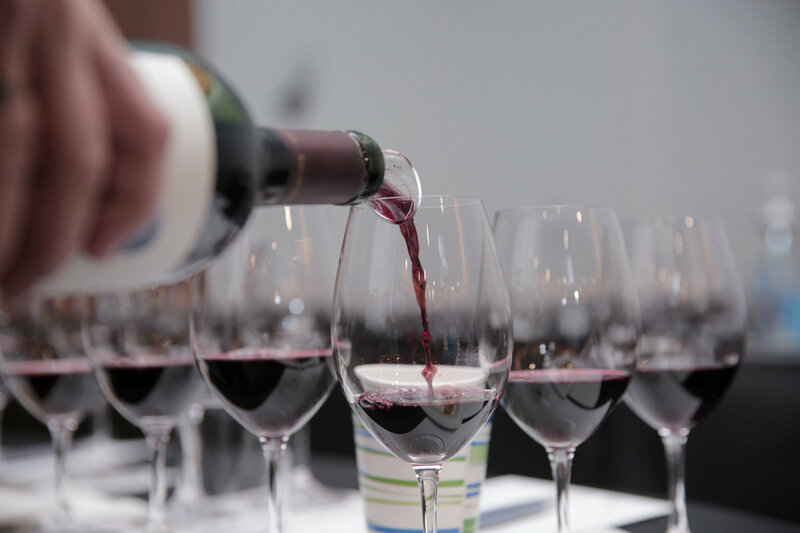 Wine expert Scott Greenberg explains just how much a wineglass can impact the overall taste of your favorite red or white. WASHINGTON — I always suspected that drinking various wines out of the “proper” glass made a difference in how that wine tasted. I just had no idea how much of a difference it made. Enter Maximillian Riedel, the 11th (yes, 11th!) generation family member to work at Riedel Glas Austria, who spent time with several industry professionals a few weeks back to show us exactly why glassware matters. Now, lest you think that I am a snob, consider the fact that while there have been larger and smaller sizes of glassware for red and white wines for several hundred years, there has virtually been no change in the shape of those glasses until just a few decades ago. In 1950, Claus Josef Riedel (ninth generation) had a vision. He changed stemware from traditional cut glass to plain, unadorned, thin blown, long-stemmed wineglasses. Claus was the first person in the industry to recognize the effect of shapes on the perception of wine. His big breakthrough came when he developed a way to actually bend the upper portion of the glassware back in. This simple engineering triumph changed everything. Since then, thanks to Claus, wineglass designs have evolved over time to take advantage of specific styles of wine. The size and shape of the bowl make a big difference in extracting the true quality of wine. For example, aromatic red wines require a large bowl that tappers down to a medium opening, giving the wine room to come into contact with air. As aromas move toward the tapered opening, the bouquet becomes more concentrated and nuances more discernible. White wines, on the other hand, feature a different style bowl and use a thinner rim to take advantage of the subtle nature of the style. Beyond red and white wines, glassware can further be delineated based on the varietal of the grape or characteristic of the wine. And even more subtle is how the structure of each style of glass affects the way the wine is delivered into the mouth and onto the tongue. For example, drinking an oaked chardonnay, such as a white Burgundy, out of a glass designed for syrah forces the wine to engage the tongue in such a way as to make the wine feel astringent and overly dry in the mouth. I would not have believed it had I not tried it — and several other wine varietal/glass design combinations — myself. I recently confirmed this phenomenon with a few friends who were over for dinner. Using a bottle of pinot noir and a bottle of cabernet sauvignon, I poured some of each wine — with the identity hidden — into a glass made specifically designed for that wine. I then pour a sample of each wine into the other wineglass, as well as a regular water glass and, gulp, a coffee mug. They confirmed that they liked the wine better when it was served in the appropriate glassware. I am happy to report that, to date, no one has selected the coffee cup as the preferred mode of consumption. If you don’t have the resources to attempt this experiment, Maximillian Riedel suggests trying it at a restaurant. Ask your wine server to pour your wine into several different styles of glassware and see which one you prefer. Regardless of any glass you use, I always suggest giving it a quick sniff before you pour the wine in. More than a few special wine experiences have been spoiled by accidental contact with residual soap left in the glass or other off-putting odors that get spread to the wine due to improper storage (including glassware stored in kitchen cabinets alongside cooking spices). This goes for decanters as well. While it absolutely matters about what type of glassware you put your wine in, I am happy to report that it does not matter if your wineglass has a stem attached to the bowl or not. You can use a traditional Riedel stemmed glass or the newer stemless variety, the “O” series. The bowls on the two sets of glassware are identical, the only thing missing (or not) is the long stem. Personally, I am a fan of stemless style since I am prone to snapping off a few of the delicate stems every time I wash them. While my spouse loves the ease of simply popping stemless glasses in the dishwasher, her main complaint is that holding a stemless bowl in your hand can warm up a white wine more quickly than holding it by the stem. I countered that if she keeps making me wash the traditional glassware, they will all eventually become stemless. I contend that the stem has less to do with the enjoyment of the wine and more with aesthetics. Riedel makes several levels of quality, starting with the Ouverture series — a good beginner set — all the way up to the expensive Sommelier line, designed for discerning palates. The Vinum series is my favorite set of glasses. Even though this middle-of-the-road series is machine made, it is a workhorse glass that can be enjoyed every day while providing enough quality to please picky palates. There are 16 styles to choose from, but my favorite styles are the versatile Bordeaux/Cabernet glass, which can be used with most red wines; the Chablis/Chardonnay glass, which can be used with most white wines; and the Red Burgundy glasses, which can be used with lighter, more delicate wines such as pinot noir and nebbiolo. There is even a special glass design for new-world pinot noir, but that is definitely a luxury. The same styles are also available in the stemless “O” series. Whether you prefer the elegant look of stems or the convenience of stemless, it is worth making a resolution to invest in quality glassware that will allow you to get the most enjoyment out of a particular wine. This is one resolution I look forward to keeping.